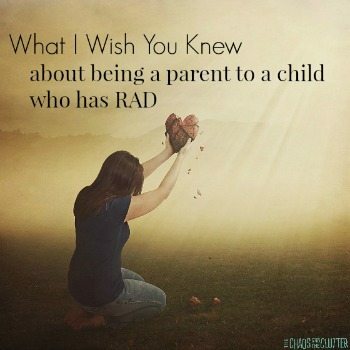 Nothing could have prepared me for what it’s been like to parent children with attachment and trauma disorders. Nothing. I took courses, attended seminars, read books, and listened to others who had walked this road before me and yet, I had no idea how hard it would be. No one could have convinced me the extent of the pain it would be to love a child who, through no fault of their own, rejects me daily, even hourly some days. No one could have prepared my heart for what it would be like to watch my child suffer from debilitating anxiety, flashbacks, regression, nightmares, dissociation, and behavioural issues. Where can childhood trauma come from? There are many factors that go into answering this question because each child is unique and has a different level of resiliency. (If you want to read something that will make your brain hurt, try reading up on the research about resiliency!) This means that for one child, a parent’s divorce can lead to long-lasting trauma symptoms while other children, even ones in the same family emerge from the same situation without any signs of lasting issues. 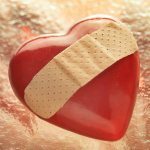 For hope and practical help, sign up for our special series, Little Heart, Big Worries. It can be so hard not to take things personally, particularly when you are the target of the child’s anger. They may tell you multiple times a day how much they hate you and hurl insults directed at you almost from morning until night, but it is not you that they hate. It is their situation, their feelings, their shame, their anger, their past, their trauma. I know how hard it is not to take it personally. Some days, my humanness gets the better of me and I take it to heart. When that happens, I either fall apart emotionally or I respond to the comments thrown at me (even though I know that it just escalates things). Neither of these responses helps the situation and I do know that, but it is impossible not to be affected by it. My advice on this is to have people around you in your support system who can remind you that this is not about you and who can give you breaks. You need time to recharge. Parenting a child with trauma issues is an exhausting 24/7 job. I recently read something that said that parenting a child with trauma was the equivalent of parenting 3 children. I don’t even want to do the math on what that means for me! I’m sure you know about the analogy of the oxygen mask on an airplane and how that applies to parenting, but with parenting children with any type of special needs, that analogy holds even more true. 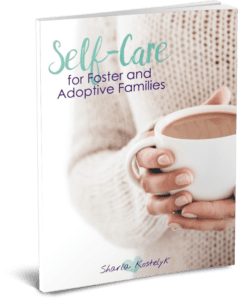 You simply cannot care for your child’s needs if you are not meeting your own. I’ve written a whole (short) book about the importance of self-care and what that actually looks like, but I am really bad at taking my own advice. I seem to go in spurts of getting better and then slipping back into old patterns again. I’m working on it! How old are they right now? One of the programs we did with both our son and our daughter taught us this trick and it has served us so well. When kids have an early childhood trauma, they can become stuck at that age or revert to that age when under stress or when they encounter a trigger. With a neuro-typical child, if they were acting like a two year old when they were actually seven, you would likely expect them to act their age. That kind of thinking can be harmful when parenting traumatized children because they truly are two years old in that moment and if you respond to them as if they are seven, you will not be meeting their needs. I have trained myself to ask myself often during the day, “how old is he/she right now?”. Once I determine the answer, it is much easier to react because I think about how I would react to an infant or toddler or four-year-old in that circumstance and act accordingly. Just as an added note: it is not helpful to say things like, “you are acting like a two year old”, so resist the urge! Your child may be in your kitchen having a tantrum about what seems to be their big sister not including them, but they may actually be back re-living the day they were brought to the orphanage and that feeling of rejection that this has brought back up for them. Or your child may be unresponsive when you are talking to them because a noise they just heard put them right back into a room where years ago they were abused. This is another skill that actually gets easier the more you practice it. It isn’t intuitive at first but it starts to make sense after awhile. You will become better at reading your child’s responses and responding to them with compassion. They will start to feel understood. This journey of parenting a child who has had childhood trauma is most certainly a journey of a thousand (or perhaps a million) baby steps. Understanding where they are in their story in the moment and how old they are in that same moment are two keys that help you start taking those steps. Get to know their triggers. For a child who has experienced some kind of trauma or abuse, triggers are everywhere. It may be a sound, a smell, something they see or touch, or even a taste. This trigger can send them right back into their trauma. I suggest that you keep a journal where you jot down anything you notice before your child dissociates or tantrums. This will help you discover with them what set them off and help both of you better prepare in the future. It is impossible to avoid all triggers as there can always be something unexpected waiting around the next corner, but being aware of what those triggers are is half the battle. If you know that a particular trigger is coming up, you can talk about it with your child and help them to prepare. 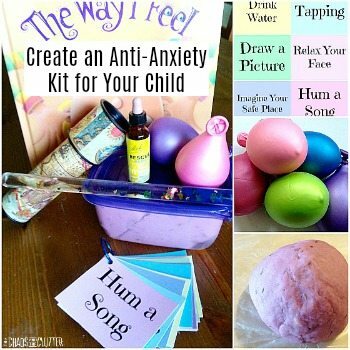 Talk about strategies that they can use to get themselves through and stay calm and in the present. Often, just talking about it and preparing ahead of time is enough to get them through. Another type of trigger is what people often refer to as traumaversaries. There are times of the year that can be a trigger for your child depending on what time of the year it was when their trauma occurred. This can be something dependent on the season, month or holiday. Lots of parents remark how incredible it is that every year when a certain month comes around, their child is triggered but they were too young at the time of their trauma to even know what month it is. The body is an incredible thing and it stores that information even though the child may not be consciously aware of it. Sometimes, just bringing it to your child’s attention can be enough to lessen the effects. Saying something like, “did you know that it was around this time of the year that you were hospitalized with that infection and almost died? That must have been such a scary time for you. Would you like to talk about that?” can really de-escalate the behaviours the child is demonstrating at that time of the year. 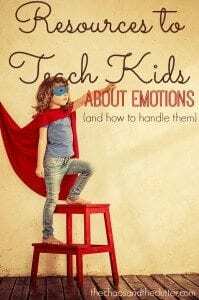 It’s important for all kids to learn the vocabulary they need to express their emotions, but it is even more important for kids with trauma backgrounds. I do a lot of teaching with my kids around this topic and try to keep it light and fun so that their brains are more able to absorb the information. I use a variety of different resources to accomplish this. Trauma affects the brain’s ability to learn. It changes brain function and actually forges tracks in the brain based on trauma responses. Traumatized children are often forced to function in the lower part of their brain for survival. Higher level brain function is necessary for much of what we expect children to do at home and at school and someday at work, so helping them access that top level of their brains is important. 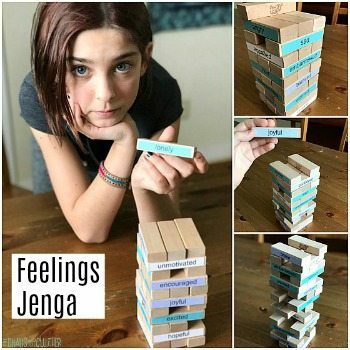 When they are triggered and experiencing a trauma response, it is all but impossible for them to access that part of their brains which is why it is so important to teach them skills for calming themselves. You cannot do this alone. You will likely need to enlist the help of a team of professionals. This team may include an occupational therapist, teachers and aids in school, community aid worker, counsellor, and psychologist and/or psychiatrist. Admitting that you need help is not admitting failure. It is being willing to do what is best for your child. You cannot be an expert in everything but as a loving parent, you can seek out those who are experts in the areas your child most needs help. Sometimes, you may even need to consider medication. Making the choice to medicate your child is not an easy one but this may be an important piece in their road towards healing for some families. We went down a lot of different roads in trying to find help for our kids affected by early trauma. Some roads led to glimmers of hope or a bit of success, but none had lasting effects until we found TBRI (Trust Based Relational Intervention). TBRI is based on the theory that what is harmed in relationships can only be healed in relationships. It is heavily researched both in terms of brain science and in practical implementation. My husband and I flew to Minnesota to attend a weekend conference called Empowered to Connect where we heard speakers including Dr. Karyn Purvis. We bought the TBRI DVDs and spent many hours in our living room doing what we called “going to University” together. We read the book The Connected Child written by Karyn Purvis and attended another conference in Alberta, Canada where there were speakers versed in TBRI who spoke as well as Deborah Gray, author of Attaching in Adoption. We began to implement the TBRI principles in our home and saw immediate results with some of our kids. We were so encouraged by what we saw that we decided to plan our own week-long therapy camp at home for five of our kids based on TBRI. The difference in our home and in our kids (and in our parenting) after just five days was remarkable. It has given us new hope that there really is a chance for lasting healing for our kids. Measure success in small increments. The war is won in tiny, almost imperceptible battles that happen many times a day. It is exhausting. It can feel like you are not getting anywhere. It can be hard to see progress. Be sure to look far back once in awhile to see how far you have really come. Sometimes, it can be a case of one step forward, two steps back, but celebrate the small victories when they come. You will be more encouraged and have the stamina to continue this long journey if you are sure to focus on the successes rather than the setbacks. 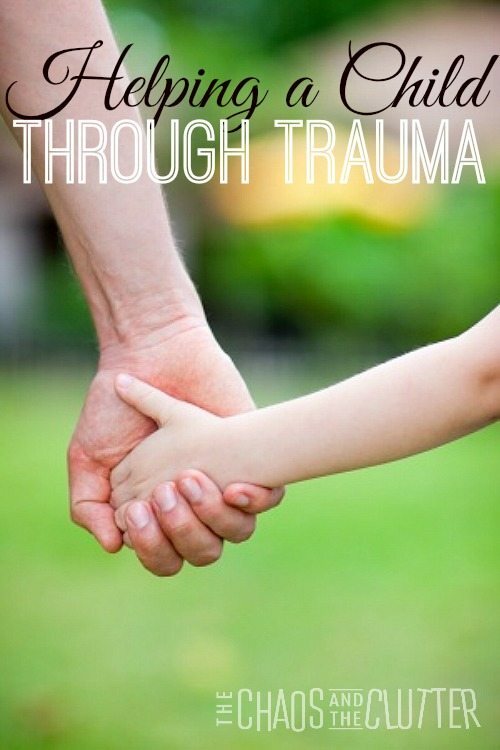 It is so important when you are parenting kids who have been through early childhood trauma to find support with other parents who have been there are truly “get it”. 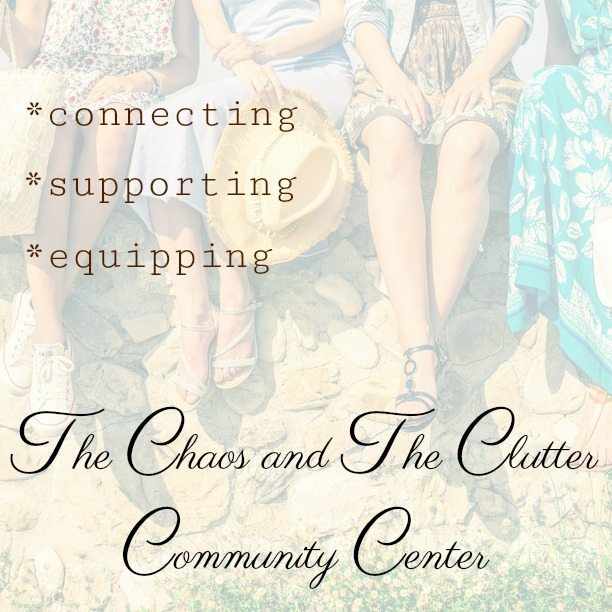 The Chaos and The Clutter Community Center offers the opportunity for parents to find real strategies and most importantly, support and connection. This was the perfect post for me today!!!! My daughter, although she came home at ten months, has a traumaversary each spring. she becomes almost impossible to deal with. I am so thankful we figured this out a few years ago and, yes, got help!!!! I have found that parenting a child with an attachment disorder is NOT an intuitive process. I’ve had to re-learn much of what I do as a parent, and train myself to think and act in ways I would never. EVER have figured out without our therapist (who specializes in attachment disorders). Great post! I’ve been thinking about this topic a lot lately since we are foster parents and are also helping one of our bio kids through trauma from a major car accident 6 months ago. It is so tough, but so worth it 🙂 Pinning this post to reference later when ever a new issue comes up! Thanks so much for making this so accessible and approachable- I think people don’t fully understand what we do and the more we talk about it, the more we can de-mystify it. Totally appreciate this! This post has some great tips. I have linked it up to my teacher website for families I work with to read and I plan to put it on my blog round-up – a compilation of some of my fave posts. As a survivor of childhood trauma, I can say these things you list here would have been so helpful for me. So, so helpful. Thank you. I can’t even begin to imagine what it must be like for you and the kids. You are a saint! Thanks for sharing at Thursday Favorite Things, hope to see you next week again! Happy Easter! This is wonderfully written and very informative. Thank you for sharing! I have never personally dealt with traumatized children. I have dealt with my own anxieties. This is really informative article, that will help many people. Thank you for sharing with TGI Saturdays. Blessings to you. These tips must be so helpful to families that need them! Thanks for linking up at the Thoughtful Spot Weekly Blog Hop! We hope you join us again next week! We brought our children into our family when they were 5 months old. The years between 9 and 14 were absolute torture for us all. We had police involvement, physical violence, so many many things. There were very few resources available and no internet resources! 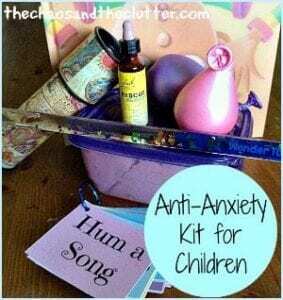 We did learn little snippets from different mental health professionals, but, especially for our son, I just came to understand what I could do to calm him. We spent a lot of time with him on my lap, me holding him tightly as he struggled to sort things out in his mind. Our children are 19 and 21 now and they are our pride and joy. I am so thankful for them and I just want to say hang in there. I wish I knew about Karen Purvis 15 years ago! Thank you so much for sharing your story to encourage others. It’s a long road, but it’s worth it.